Everyone was hunkered down as winds increased and night fell. Close to 11 pm Thursday, when the eye was between the Florida coast and the island, pleas for help went out via social media and whatsapp for rescues in two areas that we knew of. One was Castaways Resort where a woman and her four children, who were seeking shelter there, had their window blown out and were hiding in the bathroom. They were rescued and were moved to the lobby. The hotel soon after had part of the roof blow off. 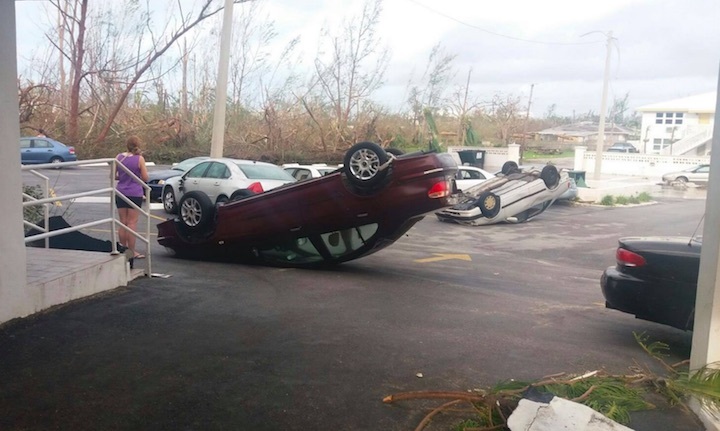 Although forecasters told those in Grand Bahama to expect hurricane conditions to be the worst of the storm between 4pm and 9pm, those conditions went further into the night. Other pleas were from Hunters and Lewis Yard as water levels rose. 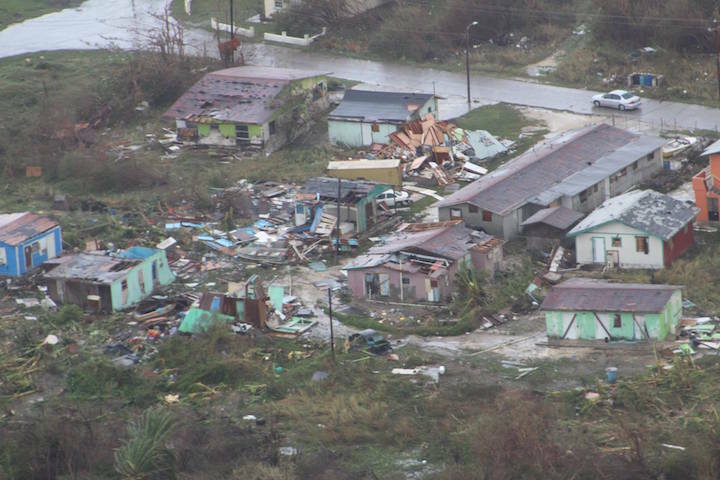 Grand Bahama emergency services took calls, but were unable to deploy help to any areas of the island due to the severe weather conditions and the dark. Thankfully everyone who needed rescue were taken care of, and there will no doubt be many stories yet to come out as communications get back in order. Those of us tuning in via social media waited with bated breath. The first sigh of relief was by way of a statement before midnight by MP for East Grand Bahama, Peter Turnquest who provided a much needed update: Despite reports of major damage that will negatively impact the lives of many Bahamians for months and possibly years to come, thank God there has been no loss of life reports. God is indeed good. Let's keep it that way folks as the recovery efforts begin. This is a dangerous phase and many persons are injured as they begin removing debris and making repairs. Please be careful and wait until the all clear is given before venturing far from home. Be careful with power tools and look for other hazards as you move about. Continue to be vigilant family. Finally, thank you to all the hard working men and women of the Royal Bahamas Police Force and Defense Force who risked their lives rescuing people and saving lives. Also thanks to Tammi and the good folks at NEMA, the news reporters that kept us informed, the weather forecasters and all people of good will who volunteered their assistance where needed. THANK YOU!" On Friday morning, October 7th, Grand Bahama woke up to a new reality. They had already suffered the horrors of the night. The sounds of the battering wind - and for some the destruction of those 140 mph winds, as windows crashed through, and roofs lifted off. Everyone grateful that they made it through alive. The first scramble for those that were safe, was to assess damage of homes there were in or left; and to check in on loved ones. On the farthest southeastern tip of Grand Bahama, things did appear the worst at Lewis Yard, Hawksbill and Pinder's Point through photos making their way to social media. 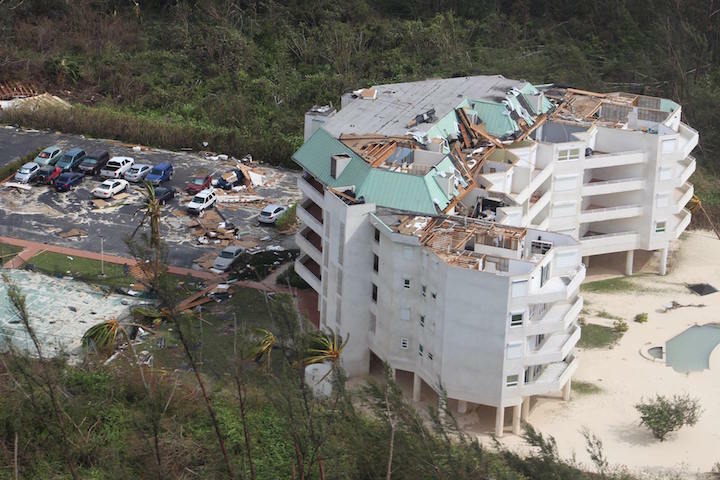 95 % of the buildings in the Eight Mile Rock and Holmes Rock areas in Grand Bahama received significant damage from Hurricane Matthew on Thursday night and Friday morning, Brenda Colebrooke, the island administrator for West Grand Bahama, said. 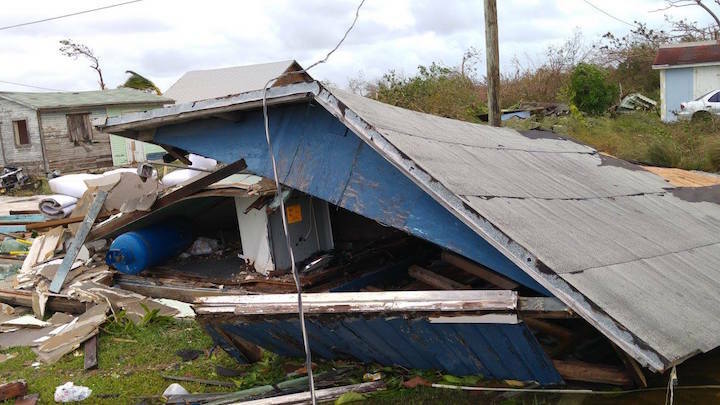 "Portions of the homes were blown out and roofs were completely blown off," she told The Tribune shortly before 9am on Friday as authorities began making initial assessments of the damage the category 4 storm caused in Grand Bahama. There were, however, no reports of lives lost. "We had some very, very high winds," Ms Colebrooke said. "We think we caught 140mph conditions in the west. We had people still stuck in the west end area, reaching out for help. Right now we're trying to clear roads to make them passable. Our team has not reported back yet though." A senior police officer told The Tribune earlier on Friday morning that more than 72 homes reported experiencing significant roof damage from Matthew although that did not include the western area of the island. They expect to receive more of such reports of damage. 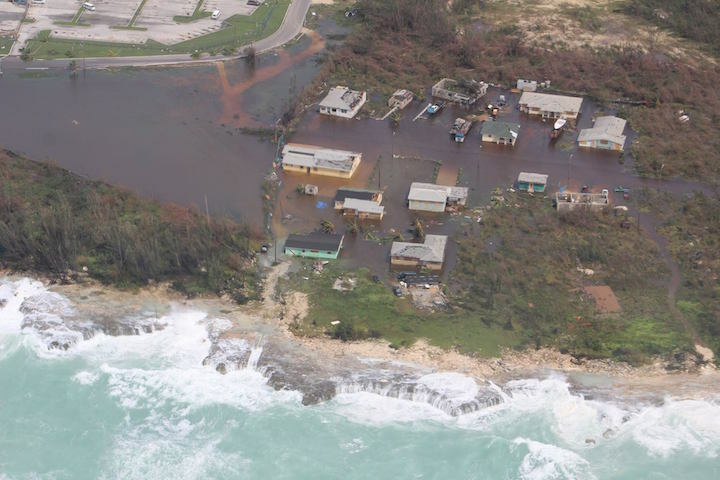 West Grand Bahama is also believed to be experiencing significant flooding in the storm's aftermath. 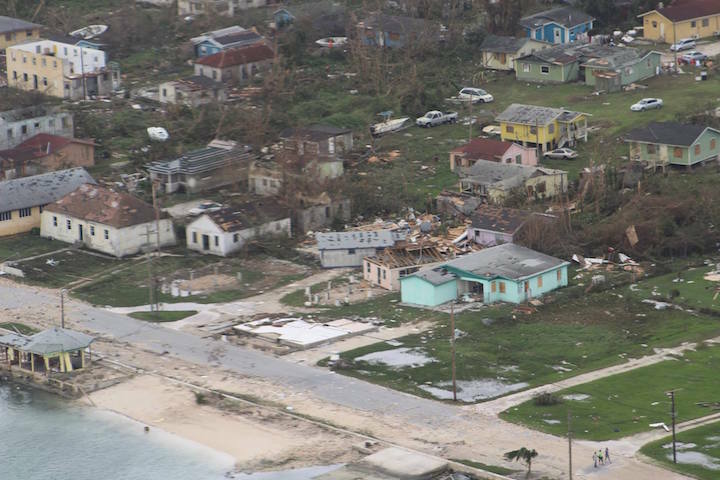 "It was horrendous," Harvey Roberts, the island administrator for East Grand Bahama, said of the hurricane. He said he received calls from residents to be rescued all throughout Thursday night, but could not do anything about it. "We couldn't go out and risk our lives," he said. 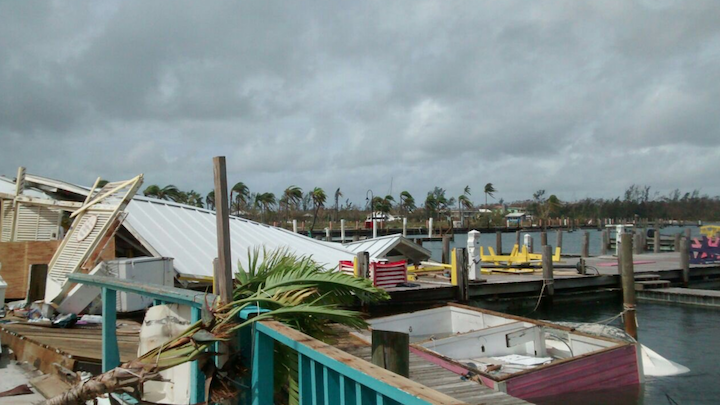 Mr Roberts was in Acklins last year during Hurricane Joaquin, which devastated the island. "I thought I would not experience anything like that in my lifetime again but this was even worse," he said. "The winds were tremendous." When he spoke to The Tribune shortly after 8.30am, Mr Roberts was riding alongside the island's top police officer to begin assessments. He was at the Grand Bahama airport, which received minimal damage though "debris was everywhere". The Grand Bahama airport, although open for emergencies on Saturday, October 8th at 12 noon, will not be open to the traveling public before Monday advised Bahamas Aviation. It is best to confirm with your airline. At 12 noon on Saturday, Grand Bahama Power Co. announced that help is coming from Tampa to repair power lines on the island, and they aim to get the water back up by Sunday for the entire island. 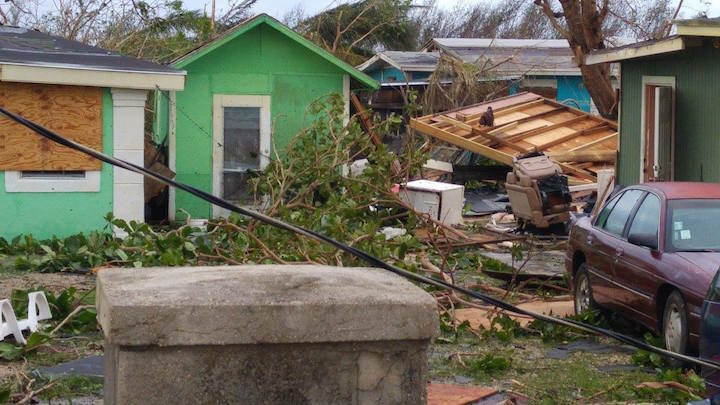 The Bahamas Red Cross is seeking donations and a Hurricane Relief Fund has been set up. The City of Key West is providing relief via a Royal Bahamas Defence Force vessel, and the Caribbean Disaster Emergency Management Agency (CDEMA) has deployed 2 sets of specialized response teams to Haiti and The Bahamas. "There are over 3,000 visitors on New Providence, 74 on Grand Bahama and 228 throughout the family islands. All visitors in the country are accounted for," said a post-hurricane statement by Bahamas Ministry of Tourism. Bahamas Telecommunications Company (BTC), Bahamas Power and Light (BPL) and Cable Bahamas have both announced they are doing assessments and are working hard to restore services. The Tribune has done an excellent job of giving live updates you can see HERE. 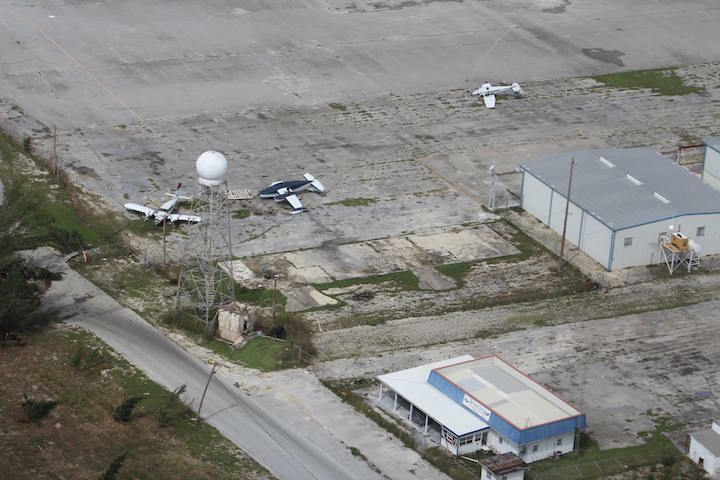 THANKS TO Daphne Sullivan who flew with pilots Ricardo Munnings and Mark Albury and provided these photos of Grand Bahama from the air. For other photos or to reach people that you may have lost contact with due to limited phone and internet, you can leave a message on The Bahamas Weekly's Facebook group page, Bahamas News and Events.